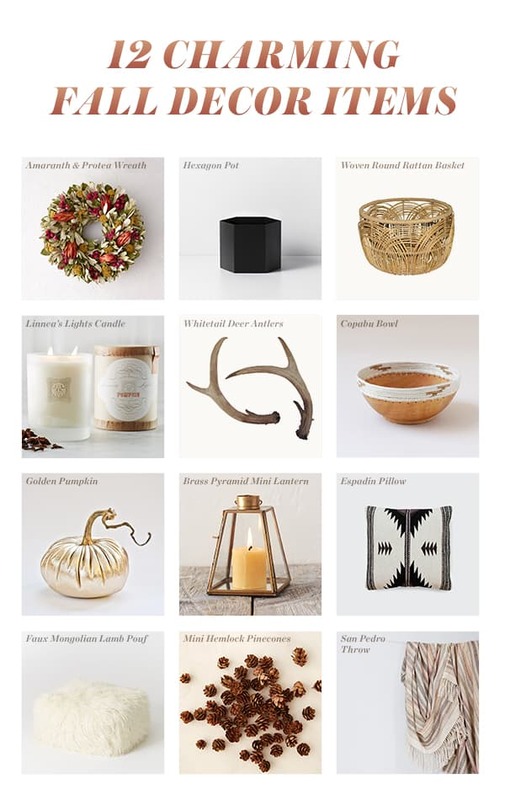 Fall is almost in the air, so we had to pull together these 12 charming fall decor items!! Although, in Southern California we still have one more month of extreme heat (yuck), but I can still feel the vibe of fall around me. Around this time of year I always get a little envious of those who have seasons and that crisp fall weather! But, adding a little pumpkin spice flavor to my latte every morning helps and of course, breaking out the fall decor welcomes the season too. I’m currently loving these charming fall decor items which will surely bring a little bit of autumn into your home!! And since we’re on the topic, here are 10 easy ways to bring fall into your home.